We all love DII college football Saturday. 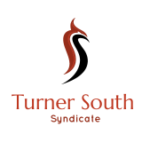 Whether it’s the intense action of an evenly-matched conference rivalry, or tailgating hours before the game begins, nothing beats rooting your school on to victory. And it all starts with the stadium. 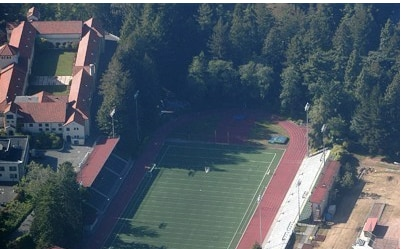 We have taken several looks at the best stadiums in DII football here at NCAA.com. 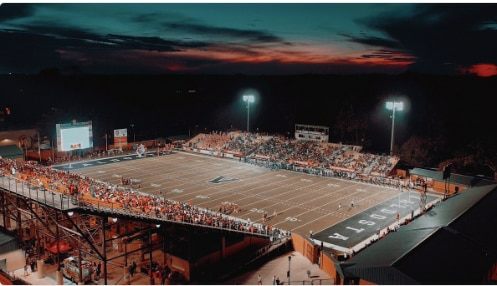 First, we offered our bucket list of must-see stadiums, quickly followed by the fan’s choice for best DII football stadiums in the land. Now we turn our attention to those stadiums that offer a little more thanks to the surrounding area. We looked to the people who knew best, recruiting the fans of DII football to chime in. Help us out and prove it with a picture! Full disclosure: Watching the Argonauts play on the DII football showcase inspired this list. 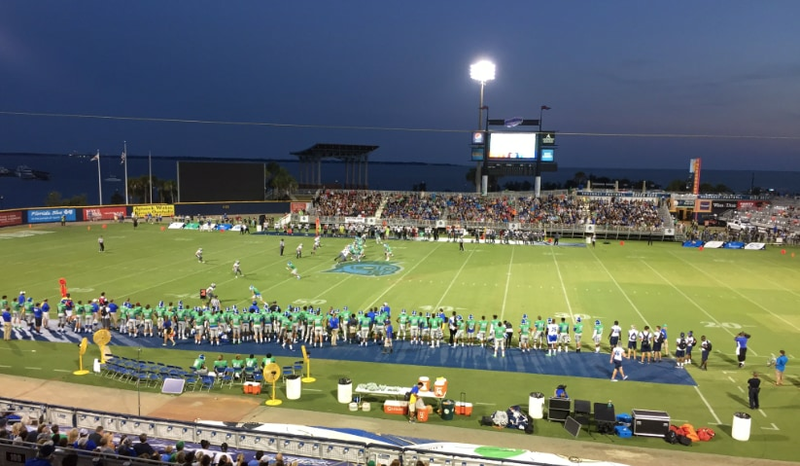 The Argos share their stadium with Minor League Baseball’s Pensacola Blue Wahoos, but there is no shortage of football feels all around the venue. But that’s not what makes West Florida’s home turf special. Anywhere you can see blue water and sailboats on one side of you and palm trees on the other seems like a pretty cool place to catch a game. Fall in the northeast is something to behold. 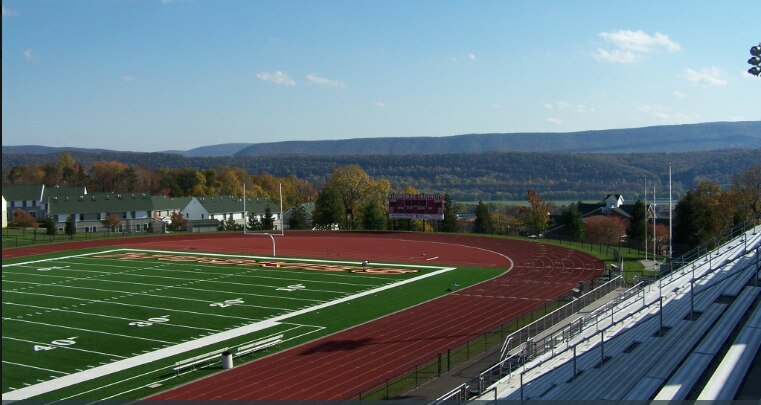 Sitting in the stands at John A. Farrell Stadium, the Golden Rams faithful get a view of the rolling hills of Pennsylvania, and with it, the changing colors of the leaves in autumn. Mountains, mountains, and more mountains. The view outside the stadium is so awe-inspiring you may forget there’s a football game being played. Don’t worry, that Mines offense always makes sure they keep your attention on the field, which may be why they’ve won almost 90 percent of the games the Orediggers have played there. You’ll have plenty of scenery when you head to Gunnison, Colorado to watch the Mountaineers in RMAC action. The Rocky Mountain Athletic Conference fits this school to a tee, as the mountains of Gunnison Valley are off in the distance and the surrounding trees are visually stunning. 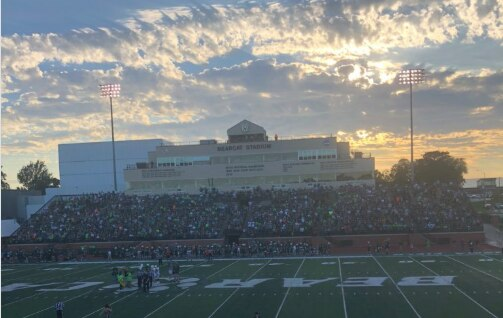 You’ll also get a great view of the sky, as you are closer to it than any other stadium in DII football. 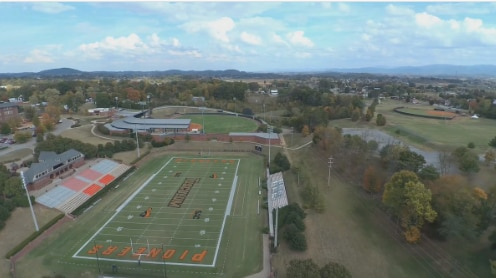 Its elevation of 7,750 feet makes it the highest stadium in all of college football. Blue skies and mountains. Whether you’re there for a track meet or to watch the Yellow Jackets football team take on an opponent, you’ll get plenty of great views of the Spearfish, South Dakota wilderness. Bundle up, those snow-capped mountains are a sight to see, but sure look chilly. Football under the lights at Lubbers is an experience like no other. This stadium can pack them in and the video board is a sight to see in itself. The surrounding Allendale, Michigan area is simple beauty on the outside as the Lakers put up some beautiful stats on the inside. If you kick the ball at The Chet just right, it can make a splash in Lake Bemidji. Ok, perhaps it’s not that close, but the Beavers stadium sits on the shores of the lake. It’s close enough that there is the Homecoming tradition of jumping in the lake after a victory. That would be something to see itself. How’s a view of the Mississippi River sound? 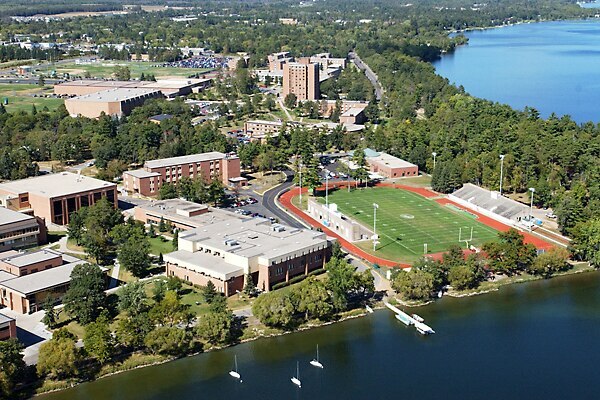 Husky Stadium is close to the shores of the Ol’ Miss, overlooking the famous scenic river. It’s new turf, with a couple of shades of green adding to the flavor. Welcome to Shepherdstown, West Virginia. The setting is a bit surreal as it has a bit of a Field of Dreams feel to it. Surrounded by wilderness, you seemingly walk out of the trees and there you are, ready for another big Saturday of football from the Shepherd Rams. Do not adjust your television. That may just be a racecar you see flying past you. The home of the WSSU Rams is certainly one of the most unique venues in all of college football, as the legendary stock car race track shares a home with Rams football. Home to the Lindenwood Lions, Hunter Stadium has an updated classic feel. 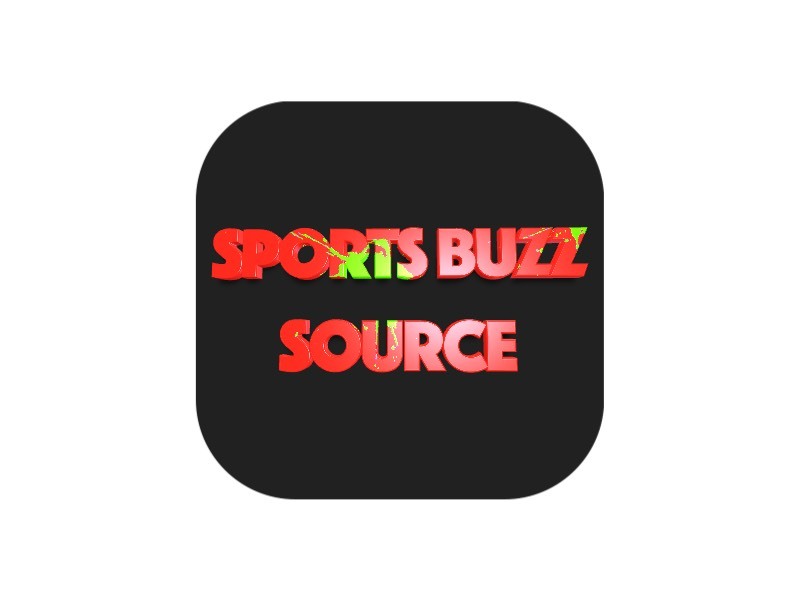 Located in St. Charles, Missouri, the stadium originally hosted the St. Louis Cardinals NFL training camp. That probably gave the townspeople some added fun scenery in the summers of yesteryear. There is just something about these Pennsylvania State Athletic Conference stadiums that add to the gameday experience. Set in the beautiful Susquehanna Valley, you can see the changing leaves and rolling Pennsylvania countryside for miles in every direction. 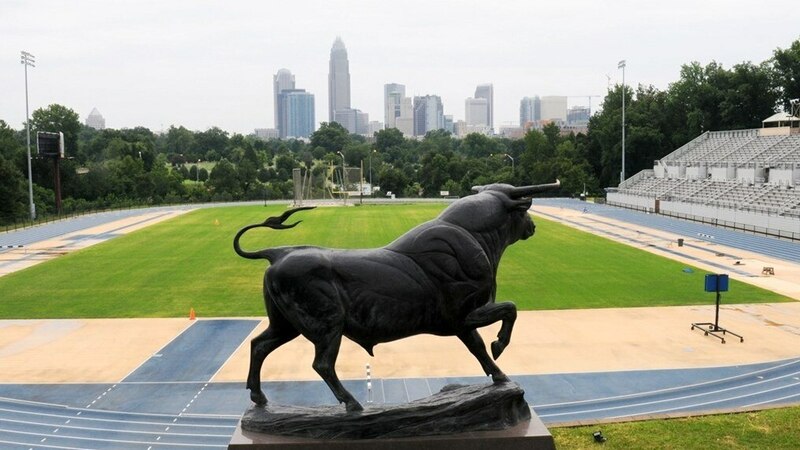 Home of the Golden Bulls, the Irwin Belk Complex is nestled right off of Highway 77 in Charlotte, North Carolina. Sure, you get to watch football on Saturday, but you also get to take in the breathtaking Charlotte skyline. Not a bad view at all.